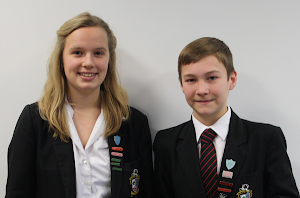 We were invited to an All Party Parliamentary Group (APPG) for Global Education. Once we arrived in Parliament we made our way to the Jubilee Room to meet Mark Williams MP who was chairing the APPG discussion. We briefly met him and some old faces from our fact finding mission to Delhi earlier this year, like Samidha Garg from NUT and Sarah Dransfield from Oxfam. We took our seats at the front of the room so that Mark Williams could open the event before we stood up to make our presentation to the many MPs and civil society in the room. We talked about what we had seen in Delhi and what we had done during our time as Young Ambassadors. We also tried to communicate our passion that we feel strongly that world leaders need to complete their pledge that ALL children are in education, but also to start thinking about the quality of education that children receive. After our speech two more guest speakers from different organisations, VSO and UNESCO talked about what their groups do as well as the problems that they feel exist with global education. There was then a chance to mingle, talk about their individual opinions and exchange contact details with very interesting people. We met Mahesh Chandrasekar from Leonard Cheshire Disability, who we talked to about the problems children with disabilities face in getting into education. We learnt that it is not just access that children face as a barrier but rather the fact that teachers are not properly trained to support those who need it. 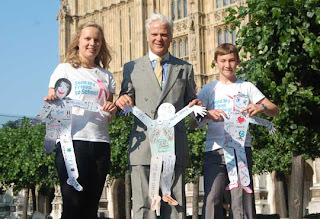 Next, we met Desmond Swayne our local MP, to present him with our schools ‘ideal teacher’ puppets and letters detailing what our students think makes an ideal teacher as well as how passionate they feel about education. These letters also explain what they feel should be done to keep pushing to the end goal ‘primary education for all’. Mr Swayne seemed quietly inspired and pleased that we were pursing a goal that we both felt so passionate for and he said that he would pass all of our messages onto the Prime Minister David Cameron. It was a really motivating day to spur us onto our next mission, the youth-takeover of the United Nations for Malala Day.